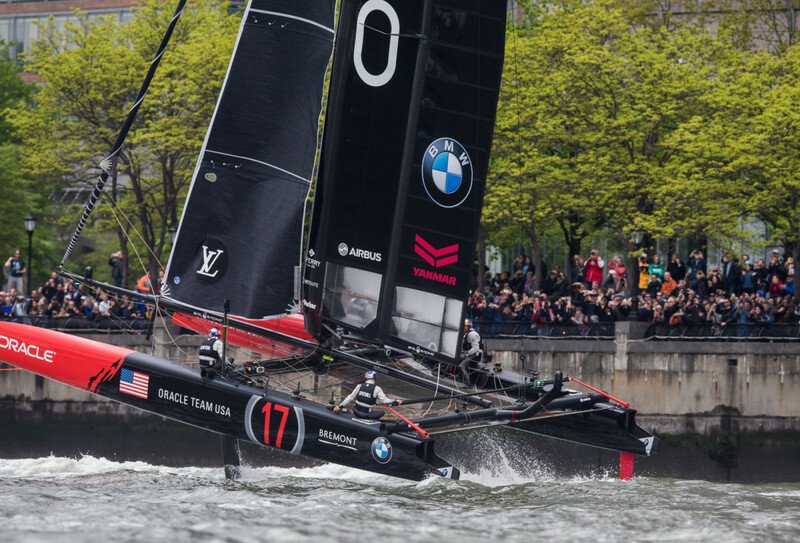 In a Cup cycle that is continues to constitute a series of “firsts,” The Louis Vuitton America’s cup World Series is moving on from the first America’s Cup regatta in New York City in nearly a century to the first-ever America’s Cup Event on the Great Lakes when it comes to Chicago this weekend. 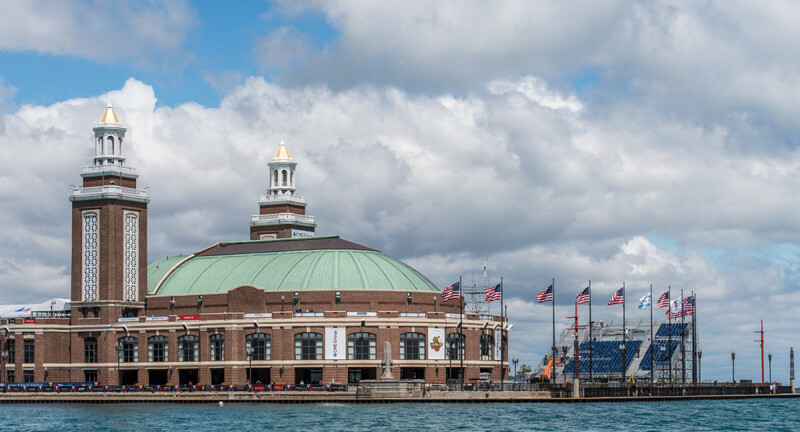 For the Chicago event, racing will be held off the city’s historic Navy Pier set against the spectacular downtown skyline of the city itself. All six teams will be on hand for the event, skippered by such veteran sailors as Softbank Team Japan’s Dean Barker, Land Rover BAR’s Ben Ainslie and Groupama Team France’s Franck Cammas, who recently returned to racing after severely injuring his leg while training for the America’s Cup last winter. Of course, also on hand will be defending skipper Jimmy Spithill and the rest of Oracle Team USA. Following the New York event, which Emirates Team New Zealand won after edging out Oracle Team USA by a mere two points following a dramatic come-from-behind win in the final race, Emirates is also in the overall lead with Oracle Team USA in second. Land Rover BAR is in third, following by the Japanese, Sweden’s Artemis Racing and the French. In contrast to the World Series regattas preceding the 34th America’s Cup, the World Series this time around is especially critical since it will be used to seed the teams in the run-up to the elimination series to see who will compete for the Cup itself. The race village open on Friday with racing taking place on both Saturday and Sunday between 1:30 and 3:30 p.m., so don’t miss out! For more on the upcoming regatta, click here.